Mike Whitlatch, Vice President Energy and Procurement at UPS, is inspiring other corporations and municipalities to reduce their carbon footprint with renewable diesel. Combating climate change and reducing carbon footprint have become the most important targets for development in major corporations in particular. The urgency of the matter is widely understood, but implementing the changes in practice is more challenging. Reducing carbon footprint is easiest when new solutions can be easily incorporated into the existing infrastructure. Neste's NEXBTL renewable diesel is one such solution. It offers an exceptionally easy way of reducing carbon footprint in transport, for instance. Logistics company UPS is one of the biggest users of renewable diesel in the world. Operating in over 200 countries, UPS is the world's largest parcel shipping company. The company annually delivers over four billion parcels, with over three billion kilometers traveled a year. ”The possibility of using a renewable 'drop-in' fuel is extremely significant to us,” says Mike Whitlatch, Vice President Energy and Procurement of Energy and Procurement at UPS. 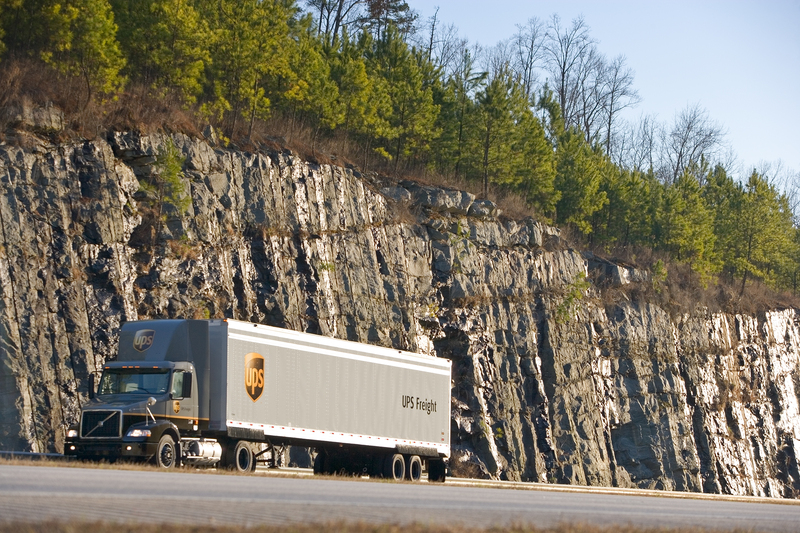 According to Whitlatch, UPS aims to reduce its carbon footprint in a variety of ways. The company has been testing biofuels for a few years now. However, the challenge with first-generation biofuels such as FAME-type biodiesel is that they have blending requirements and operational challenges that hinder widespread deployment. "In the United States, according to the Energy Information Administration, over 90% of refined oil products are transported by pipelines. Billions have been invested in over 100,000 miles of infrastructure," Whitlatch says. Conventional biofuels cannot utilize the efficient infrastructure. "We cannot transport them via pipelines, and they cannot be stored together with fossil fuels. We have to be very careful with regards to blending the products." UPS found a solution to the problem in renewable diesel. It can be used as drop-in. "We can transport renewable diesel in the existing pipeline systems. It can also be handled in the same terminals and storage facilities as conventional petroleum diesel," Whitlatch says. Blending the products does not pose any risk, as the chemical structure of renewable diesel is identical to petroleum diesel. Whitlatch adds that in reality, renewable diesel can improve the properties of petroleum diesel. Its cetane number, for example, is higher, which improves its behavior in the engine in cold conditions. Such flexibility has made it possible for UPS to invest significantly in reducing carbon footprint of their fleet. In the summer, UPS announced that it will source 174 million liters of renewable diesel from three different producers during the next three years. Neste will be the biggest supplier. "Renewable diesel works directly in our existing systems and fleet. This is crucial to us." "One thing that we really admire in Neste is the company's work to ensure the sustainability of the feedstocks they use to produce renewable diesel," Whitlatch says. Neste aims to use waste and residues as raw materials for NEXBTL renewable diesel as much as possible. This also helps to reduce carbon footprint. Renewable fuel made from waste and residues can reduce greenhouse gas emissions by up to 90%. Among other things, Neste pays attention to the raw material suppliers preventing methane emissions from production or recovering generated methane. This is an important way of lowering greenhouse gas emissions and helping customers to reduce their carbon footprint. UPS also aims to reduce its carbon footprint with regard to cargo flights. According to Whitlatch, the company is closely monitoring a project in the aviation industry to blend renewable diesel with aviation fuel. "The possibility of blending renewable diesel with aviation jet fuel is highly indicative of the premium quality of the product. To ourknowledge, this is currently the most effective and economical way of increasing the utilization of renewable fuel in aviation," Whitlatch says. Neste's NEXBTL renewable diesel will fuel UPS's fleet.